The Little Prince - Fangirls Ahead! I honestly have nothing to say. 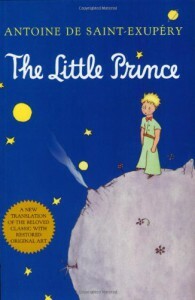 I don't know what makes it so touching, I don't know why I love it so much, I don't know why I was sniffling by the end, but [b:The Little Prince|157993|The Little Prince|Antoine de Saint-Exupéry|https://d.gr-assets.com/books/1367545443s/157993.jpg|2180358] is amazing.